Registering with the parish enables us to contact you with information about special events and keep track of donations for your tax purposes. Also, by becoming a registered member, we can assist you much more quickly and efficiently with any sacramental needs. 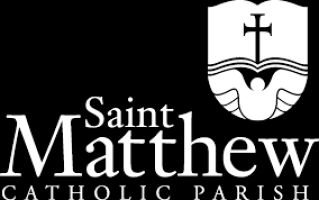 All parish registration information is confidential and will only be used for the purpose of registering you and/or your family with the Saint Matthew Catholic Church. We do not and will not share your information with any other individuals or businesses. This is our pledge to you! Simply download and print the Parish Registration form. Once you've completed the form, please return it to the Parish Office. We look forward to getting to know you and serving you in the future.